If you are using the Find function in Excel (CTRL F or else in the HOME ribbon under Find & Select) you may get frustrated when it appears that the Excel find is not working. This could be for a number of reasons but in this case we are assuming that you know it is there and can see it yourself. The Find tool will only look through all the cells in a sheet if you are clicked on only 1 cell. If you have highlighted 2 or more cells, it will then only look in those cells for the item. In the example below, you will note that our website address appears in full in the cell (column F) but in the formula bar it is a formula which builds up the address. If we tried to find the word AuditExcel using the default settings it would say it couldn’t find it. This is because by default the Find looks IN the formula and not the result in the cell. 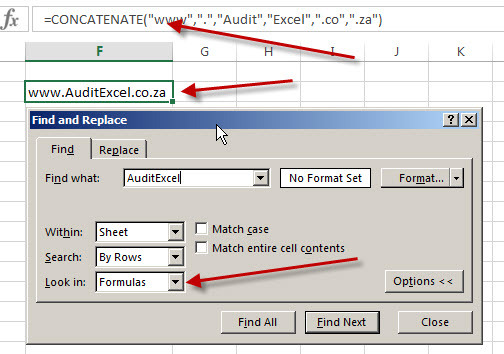 So in the formula there is nothing that says AuditExcel, but rather “Audit”,”Excel”. If you want to find the word AuditExcel but not look at the formula but rather the result in the cell, you would need to change the ‘Look In’ setting to Values. 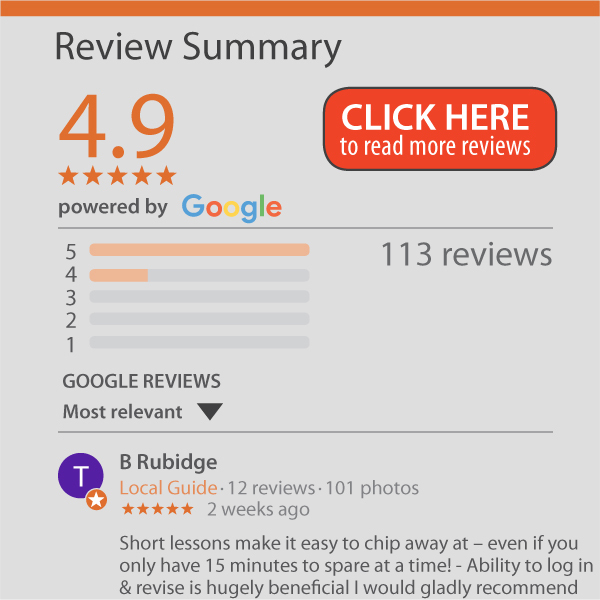 Notice as well that you can also use this if you are searching for some words in comments.